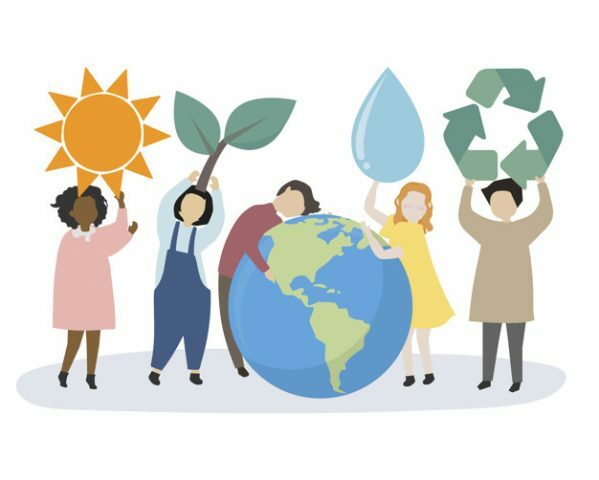 In a world where we are constantly thinking of ways to reduce our green footprint, it seems natural to extend the same thought to our working life. Everyone’s been guilty of printing off the wrong document or accidentally printing duplicates and overtime this adds up. Research by Kyocera found that an average office worker in the UK uses around 45 pieces of copy paper daily and two-thirds is deemed as waste. With our demand for paper being said to double from 2005 to 2030, we need to act to prevent these predictions from becoming a reality. Collaborative document portals, can eliminate the need to excessively print documents by providing you with an online portal where you can easily access and share them instead. These easy to use portals allow you to edit documents of all types so you can work on them the same way you would on paper. Not only does this reduce your paper consumption, but also your printing costs. RegisteredRep.com estimated that companies with annual revenues between $500k and $1 million, can save $40k per year by cutting down on printing and investing in a collaboration portal. Portals can provide a secure, virtual filing cabinet for your firm, making it hard to remember why you ever printed in the first place. Additionally, if you were to opt for a cloud-based installation rather than an on premise one, you can eliminate the need to finance expensive servers and their maintenance i.e. electricity usage. Another environmental issue law firms face is the requirement to shred confidential documents. Shredded paper is almost never recyclable, being too small to sort from other recyclables and causing fire safety issues. However, by using a collaboration portal, your firm can have complete online security and therefore reduce any need to print and shred such documents. Software is even available for a digital signature, which is especially useful when coming to sign contracts, which is another reason firms would have needed to print. Most portals are able to integrate with not only digital signature software, but also with your existing systems such as CRM or DMS, allowing you to access and collaborate on everything in one portal. You will additionally have complete mobility and flexibility meaning you can work from home or on the go. By working from home, you can reduce your carbon emissions by not driving to work, saving time and money on travel. There is no need to print off documents when travelling to clients or suppliers, because you can have access to them from anywhere. Such solutions eliminate the need to communicate via email with colleagues and clients. Emails are notorious for being unsecure, especially when sending attachments, and due to disparate emails, people often print to make more sense of them. Portals provide one place where you can share files easily and securely whilst simultaneously having discussions and making notes on such documents. Our solution, Hubshare, provides many firms with a collaborative platform to use internally and externally with staff, clients and suppliers. Using Hubshare can ensure your business’s productivity is maximised with a dynamic portal that empowers your colleagues and clients to communicate and collaborate. On the personalisable hub, your firm can share files, information, knowledge, deadlines and manage projects. Of course, going paperless is unrealistic for many firms, but by investing in the right solutions you can begin to work towards a more ecologically sustainable work place.